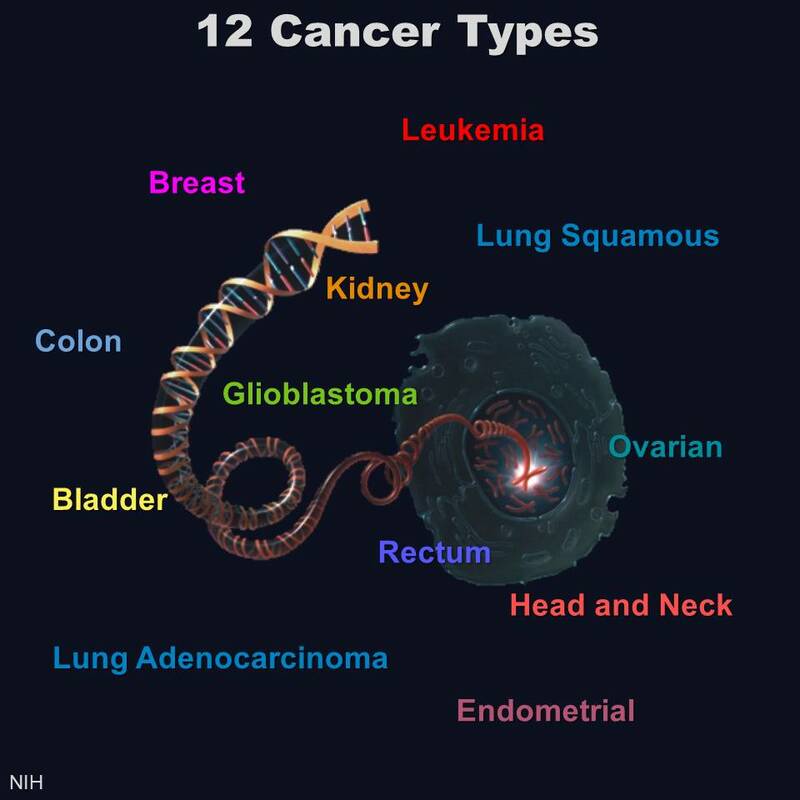 NIH-funded researchers analyzed the DNA of these cancers. Cancer is a disease of the genome. It arises when genes involved in promoting or suppressing cell growth sustain mutations that disturb the normal stop and go signals. There are more than 100 different types of cancer, most of which derive their names and current treatment based on their tissue of origin—breast, colon, or brain, for example. But because of advances in DNA sequencing and analysis, that soon may be about to change.